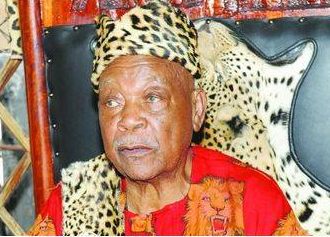 KING Immanuel Kauluma Elifas of the Ondonga Traditional Authority (OTA) was rushed to hospital Thursday evening and is currently in the intensive care unit at the Onandjokwe district hospital in Oniipa. The elderly King have been struggling with poor health for some time and has not been seen in public for almost a year now. Approached for comment, Prince Shuumbwa Nangolo, who is recognized by the Namibian Government as the King’s legitimate representative, said he has just returned from South Africa and was not yet fully briefed about his uncle’s hospitalisation and condition. 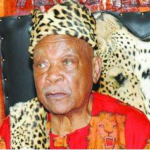 Kashona Malulu, a spokesperson for the Onethindi-based Ondonga tribal office, confirmed that King Elifas is indeed in hospital but “is under guard” and only members and supporters of the Oluno-based faction of the OTA are allowed to see him. “I went there personally on Friday but found Nepando [Amupanda] at the entrance. He did not allow me in,” said Malulu. The OTA has been plagued by controversial dismissals of preeminent tribal leaders followed by protracted court cases, what led to the current situation of having two parallel tribal offices – one at Oluno in Ondangwa and the other at Onethindi in Oniipa. Nepando, who is the secretary of the Oluno-based OTA office, like other people close to the king, was not willing to divulge any information about his condition.